Well, now I'm a pro writer! but now I'm getting paid for it, LOL!. 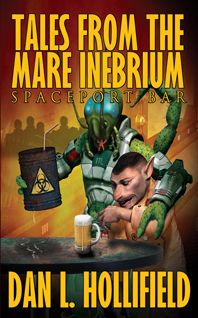 On February 4th of 2015, my first collection of Mare Inebrium spaceport bar short stories was published by Dark Oak Press. This one is 17 of my own stories, clocking in at roughly 350 pages, and is available in hardback, paperback, and e-book formats from Amazon.com and Barnes & Noble. In addition to the stories, there is an introduction to the series and a time line of all my work that shares the same general background as the spaceport bar stories. In the introduction there's even a small black & white photo of the map I drew of the planet where my stories take place. The cover art for the book was kindly done by the amazing Darrell Osborn. Do you like adventure stories? Tales of faraway places and unusual people? Ancient history and ultra-modern cities? Locked-room mysteries? Romance? Those "beer and skittles" barroom tall tales narrated by weird and wild aliens? Maybe even a Sherlock Holmes story you've never seen? All this and more can be yours between the covers of this book. How can I quickly describe my spaceport bar short story series? "Tales From The Mare Inebrium" began as a single sentence I scribbled in a notepad while at work one day in 1979 or so. In 1995 that sentence evolved into a short story. By 1998 that single story had grown into a rapidly expanding shared universe series. Eventually, I had written eight or nine stories in a series that spanned upwards of seventy stories by a dozen or more different writers. Each writer brought something fresh and new to the series. Each writer prompted me to create new stories of my own to expand on the group effort. By the time I found a publisher for my collection, the online series had garnered over two million page hits on my Aphelion Webzine site. My "Tales From The Mare Inebrium" collection features all my own original stories from the series, as well as many more new ones that I wrote expressly for the book. My aim has always been to provide fun tall tales for readers to enjoy. I believe I have succeeded in that goal. So come join us at the bar. Meet Max the head bartender, his girlfriend Trixie and her best friend Blanche who are members of the waitstaff there. Listen to stories told by Kazsh-ak, Hnarcor, Andrew, Jon, and a host of other patrons. Their stories are yours to enjoy, all for the price of a few drinks at your local spaceport bar. So come on in and have a seat, the good times are rolling even as we speak! 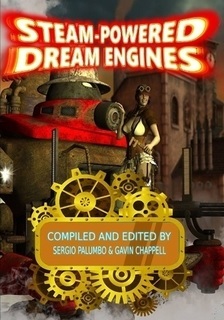 On March 28th of 2018 the steampunk anthology Steam-Powered Dream Engines was published by Rogue Planet Press/Horrified Press. Edited by Sergio Palumbo and Gavin Chappell, featuring short stories by myself, Robin Lipinski, Michele Dutcher, John David Rose, Sergio Palumbo and the late Ernesto Canepa, and many other writers, with cover art by John David Rose, and interior illustrations by comics designers Davide "Atog" Marescotti and his wife Sara Della Casa. It is, as the title suggests, an anthology of steampunk stories--adventures in the grand style, as it were. This project began nearly two years ago, and it went through eons of pre-production and production stages during those two years. This has been a labor of love for all concerned, and all the writers and editors are happy that it has now come to fruition. There is not yet an e-book version, but I am confident that one will appear in future. The paperback is available on LULU.com for $12.99 US. 22 short stories by authors around the world, 210 pages. I'm looking forward to reading everyone else's stories, as well as seeing the interior illustrations. 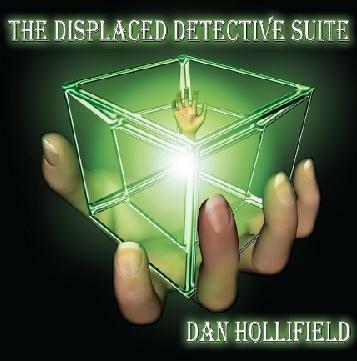 And John David Rose has done some fantactic cover art for it. This is going to be so cool! I can't wait to get my own copy for my bookshelves, and to see the look on my Mom's face when I give her a copy of her very own. 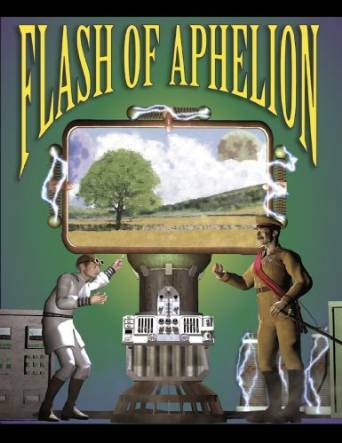 The first thing I got paid for was a 1000-word short story in the collection Flash Of Aphelion. That's a Print-On-Demand anthology available from LULU.com. I've also seen it listed on Amazon.com as well. Hardbacks, paperbacks, and different e-book versions should be available there. That book is a wonderful collection of flash fiction stories that were originally featured as writing contests in the Forums section of Aphelion Webzine. Every writer in the book gets one fair share of the profits from each sale for each story they have in the collection. I have one story, so I get one fair share. Other writers may have two, or three, or more, so they get additional "shares" for each of their stories. There are over 70 stories in the book, each one clocks in at 1000 words, so it is quite a bargain for any reader to buy. I am back to work on my steampunk novel. I have, perhaps, a third of it finished in first draft form. There is no timetable for its release, nor has it been submitted to any publisher as of yet. I'll keep you posted when events eventuate. Another thing, or actually "things" would be the correct term is that I have 5 music CDs of my old garage band music from the old days in production right now!. All live music, all from my old tape recordings, remastered as best I can, and recovered from a dead hard drive from an old computer. So, very much a sort of "warts and all" set of compilations. Once they come live, I'll post the links here. They will be on Create Space and Bandcamp, for your listening pleasure. At the moment, I am slowly working on other projects that might see the light of day in the next couple of years. My steampunk novel for one, another steampunk/science-fiction/westerns for another, the script for a steampunk audio play featuring my music, more spaceport bar stories, other connected Bethdish novels, and so on. Watch this space for further news as it develops! I also have three music albums out. I'm a busy guy, or so it would seem. Well now, I suppose the question I need to answer is “why should people spend their hard-earned cash on this music?” I mean, really, some old dude dug up a few old recordings of his glory days in a few garage bands from forty years ago. Big deal, right? Well, it's a big deal to me, since I happen to be the old dude in question. And another thing, not all this music is from thirty years ago. 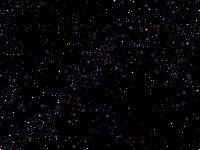 Some of the albums are of my present work, composing pieces in computer programs. The Garage Band antiques will be clearly identified in the listings for those CDs. The modern compositions will also be clearly labeled as such. In fact, my first three album releases are new music composed within the past few years. Only after those all go live will I begin releasing the garage band recordings. So why should you invest your hard-earned cash in my amateur music? Well, besides the obvious fact that times are tough on everyone and this is a way for me to earn a few extra dollars. Quite frankly, the music is good. The only complaint I've ever gotten about it is that there aren't any vocals. I find instrumental music to be a good background soundtrack for driving, writing, housework, yard-work, reading, and just about anything else I enjoy doing. Sometimes, you just want to listen to the music, to enjoy the way different instruments blend their sounds together as they create something that is beautiful and pleasing to your senses. 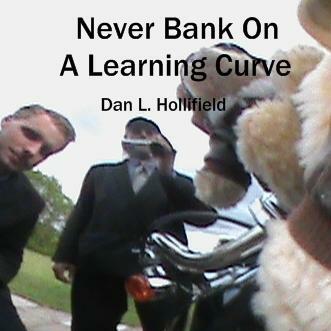 Never Bank On A Learning Curve, Preview of the title track from the album! There are a few questions on the preview page. You don't have to answer them if you don't want to. They're just there to help me gauge whether I need to change or improve anything. $6.18 for the album download, $0.65 per song download. Instrumental music composed entirely within my computer using the MAGIX Music Maker program. This is an exploration of my imagination, using a very versatile music composing program. No two artists would create the same sounds using the same program. This is an example of how I make best use of the program and instrument voices. This album is a selection of my solo projects from 2011 to the present day. All the songs were composed using MAGIX Music Maker, a computer program that allows me to be musically creative in a whole new way. The program uses loops and clips of recordings of various musical instruments. These can be put together like building blocks to make a complete song. There are thousands of these clips available. I put them together in a series of sequences, somewhat like composing a piece on a loop-based synth. Some pieces are simple, consisting of a mere four or five instrument voices, each with their own sequences. Others are very complex, featuring sixteen or more instrument voices, straight-up synth sequences I created from scratch, sound effects from within the program library, and even special sound effects that I created myself using other audio editing software. All the music on this album is just me playing with a computer program. No real musicians were harmed in the creation of this album. I hope you enjoy listening to these songs. 5) WTF? Rednecks Can't Groove! 10) Rush Hour Traffic - Don't Get In My Way! Buy the "Learning Curve" CD here! "Learning Curve" listed on Amazon! I'll add in the links to all the Digital Downloads sites as they go live. So this is now a thing! 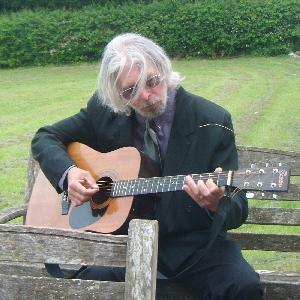 I have uploaded the song files to the Create Space site for the release of my second album. It has 15 songs, with a total run time of 68 minutes. The price is $17.59, with an Amazon listing and digital downloads coming soon. The album was just released on September 25th of 2013. I will post a link to the “Buy It Now” page on Amazon.com once it goes live. The digital downloads on my Bandcamp page are already live! I had a few songs left over from the first album, so I got to work writing enough new ones to fill a second album. In less than a month, I was ready to go. I really burned the midnight oil to get these ready in time. As always, the mixing and editing were the hardest parts of the process. The mix of different styles is even more striking on this album. Some day I'll have to do an album in a syngle style, just to see if I can. 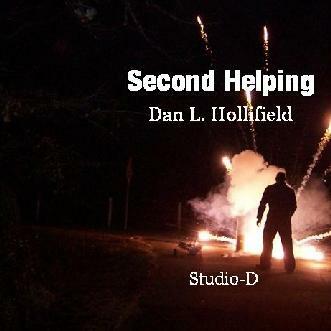 UPDATE:"Second Helping" has now been listed on Amazon. Set This Place On Fire! 13) Set This Place On Fire! 14) You Asked For It, Now Open Up Wide! 15) Hold My Beer And Watch This Stuff! "The Displaced Detective Suite" is an album of instrumental music inspired by Stephanie Osborn's series of Displaced Detective novels. It is somewhat similar to my steampunk "Airships Suite" in tone, being a mix of orchestral and rock, with electronica and sound effects tossed into the mix. Quite possibly some of the most beautiful music I have composed so far. The album has been under construction since June of 2013. The songs are finished and the files have been uploaded to Create Space. The cover art, done specifically for this album by Darrell Osborn, is quite lovely. Ten original instrumental songs inspired by Stephanie Osborn's first four "Displaced Detective" novels. Hearing these compositions is like listening to a film score. Each piece evokes mental imagery of the scene or scenes in the books. Stephanie and I have worked closely together on every aspect of the album from start to finish. My goal has been to create a portrait in sound of her wonderful novels. She and I agree that I have done so, and even managed to surpass her expectations. This album may just contain the most beautiful music I have yet created. Once you hear it, I think you'll agree. There is also a bonus track included with the Bandcamp full album downloads, and as being the free preview track on the Create Space site. This isn't really part of the album. It's a unique, stand-alone piece that I wanted to do the whole time I was writing the rest of the music. I kept hearing this in my head as I put all the other music together. Finally, Stephanie and I managed to find a way to make it happen. "Rescue At Reichenbach Falls" is an 18-minute re-edit of the instrumental track "Rescue At The Falls." It includes clips from a public domain radio play from the 1950s based on "The Final Problem" by Arthur Conan Doyle. These clips feature Sir John Gielgud as Holmes, and Orson Welles as Moriarty. And as an extra special treat, Stephanie Osborn making her voice acting debut as her character Skye Chadwick! Only the voice acting clips are from the radio play. All the other audio SFX were assembled by myself from various online public domain sound effects libraries. Stephanie recorded her part from a script I wrote that adapts dialog from her novels. Third Time's The Charm – My third album of modern solo work. Fast Friends – Volume One: Warts And All – Garage Band tapes of Jim Parnell and I. Fast Friends – Volume Two: Live MO – Garage Band tapes of Jim Parnell and I. Fast Friends – Volume Three: Space Dust – Garage Band tapes of Jim Parnell and I.
Studio-D: Solitaire – My solo work from the garage band days. Studio-D: Sweet Revenge – Me with the guys. Studio-D: Aftermath – Me with some of the guys, after I quit Sweet Revenge. The 10,000 Airships Suite – A steampunk audio play, featuring Richard Bristow as the Narrator, and as Voice Acting Director. The 10,000 Airships Suite, Instrumental – My music for the play, without the play. This will be longer, and quite a different edit than the play itself. It might even stretch to a double-album set. We'll see. And as always, my entire catalog of music can be previewed for free on my Sound Cloud Page, or in better quality on my Bandcamp page.